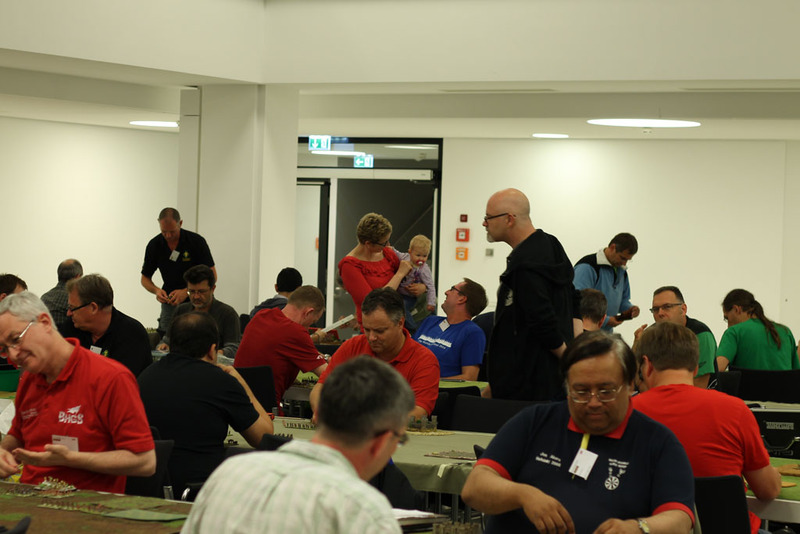 I collected the impressions from the Worlds in 3 separate articles, each covering one of the days. 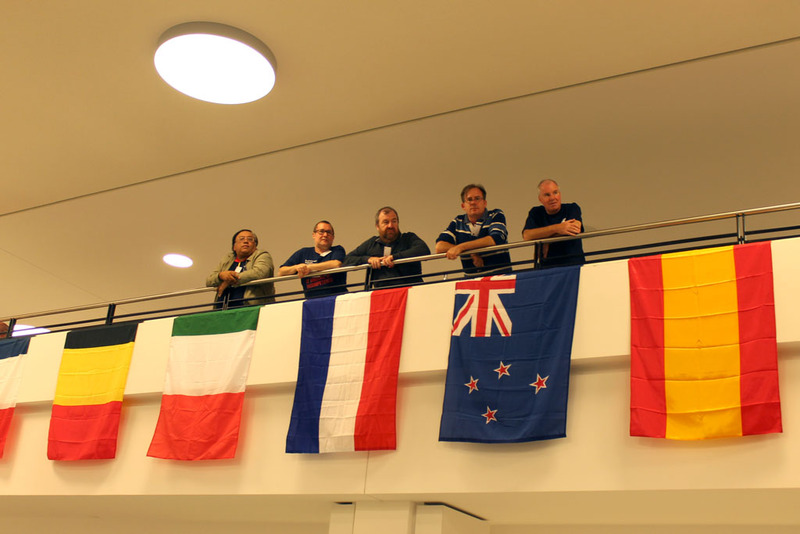 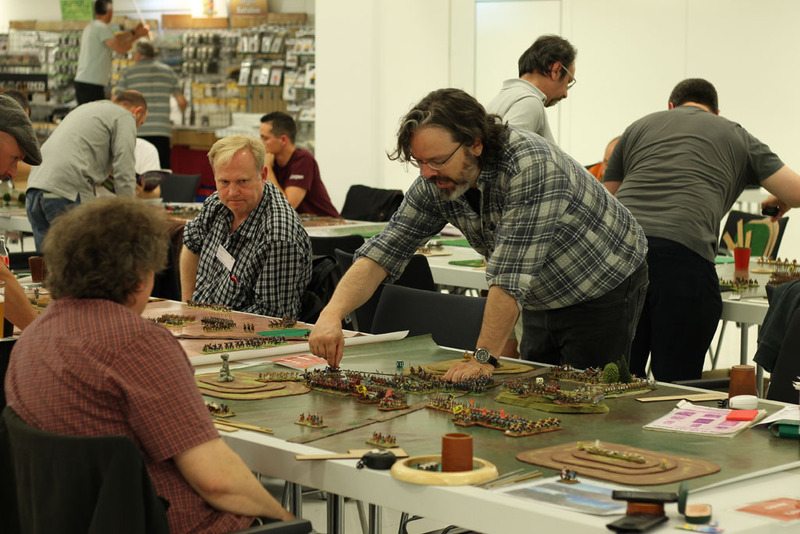 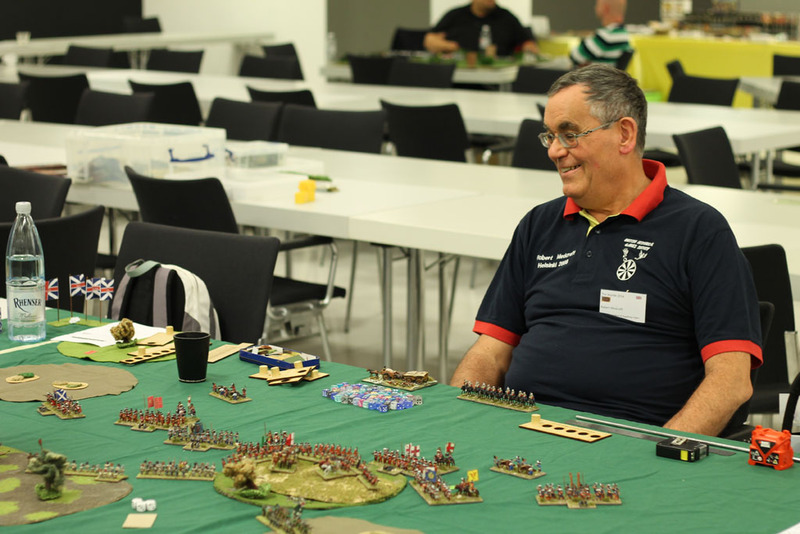 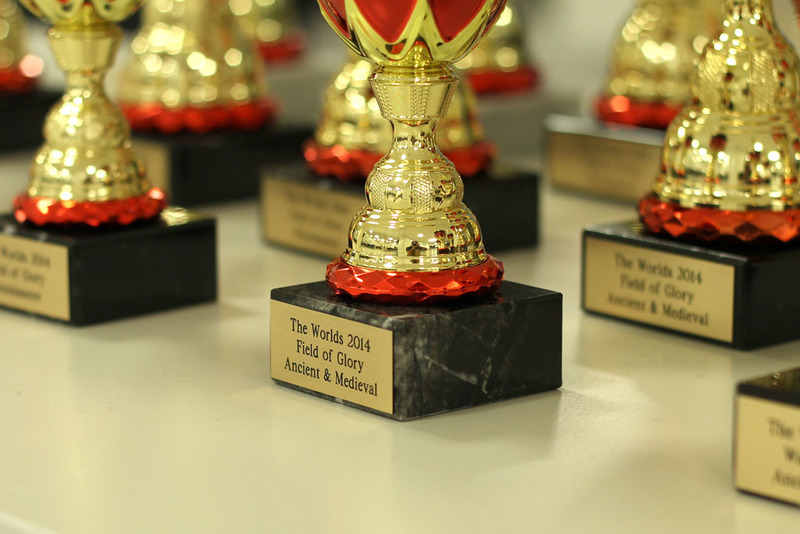 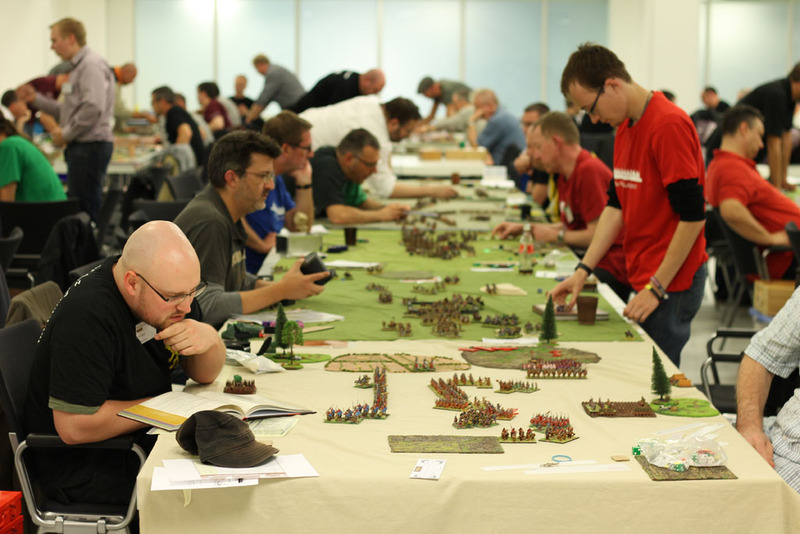 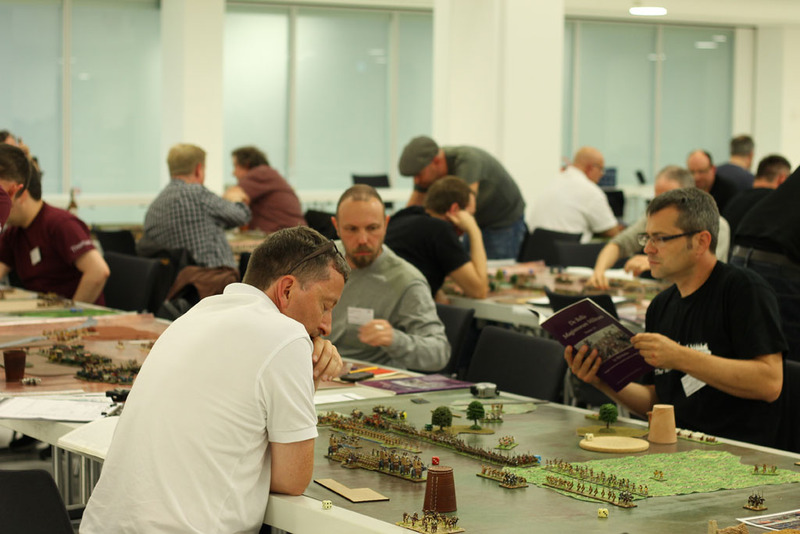 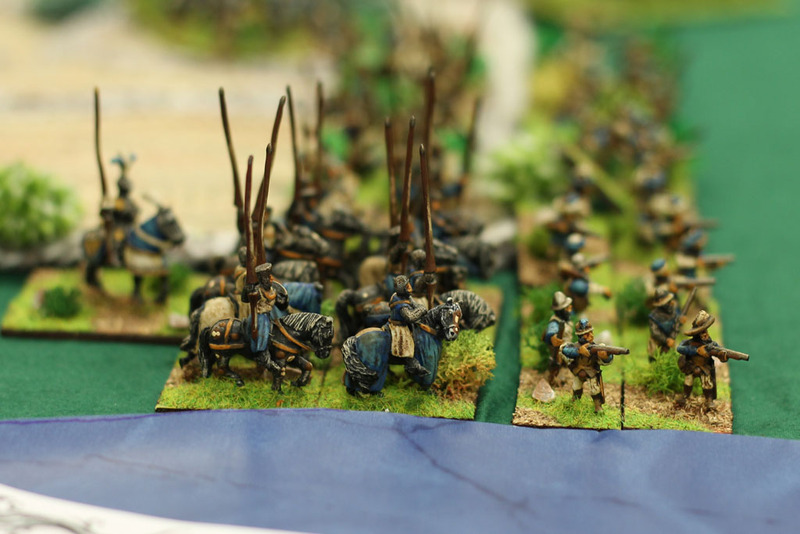 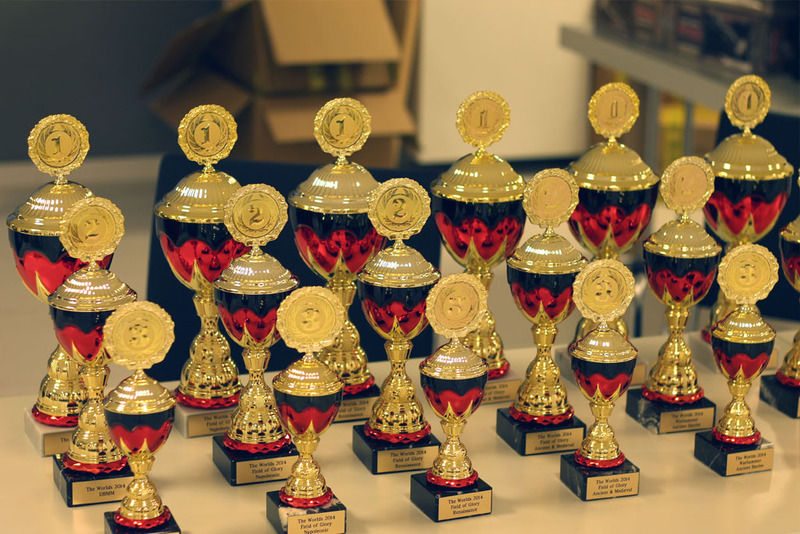 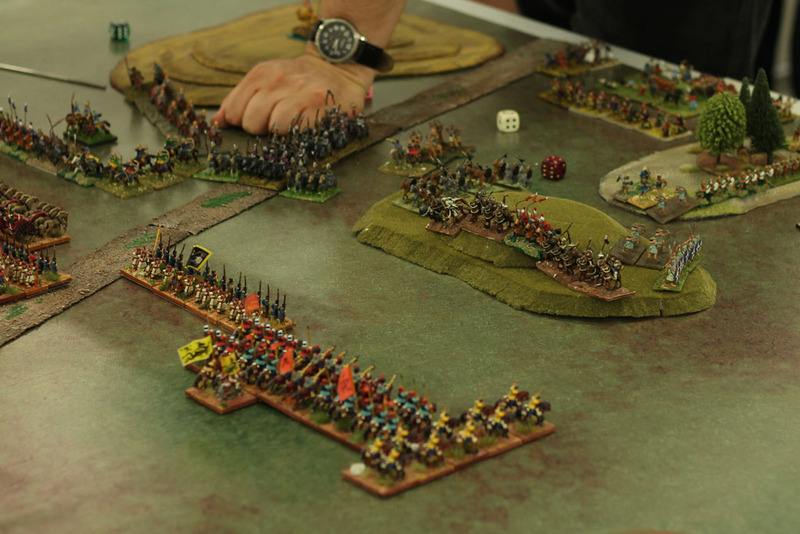 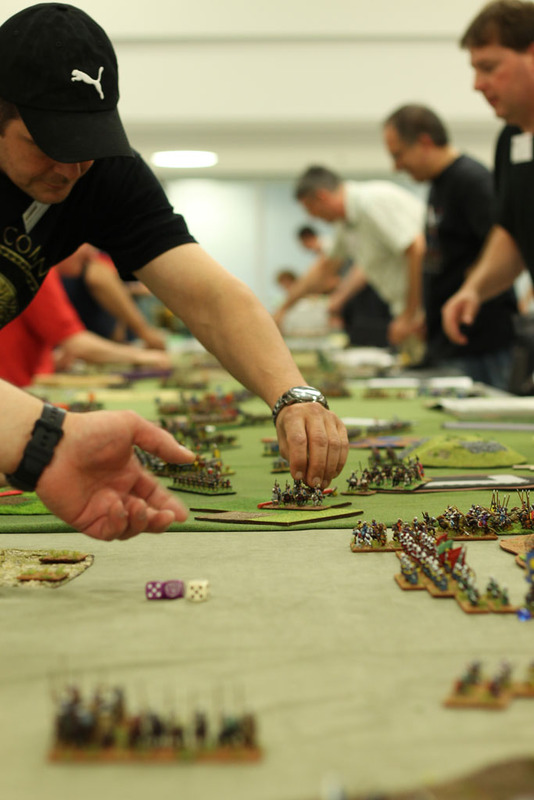 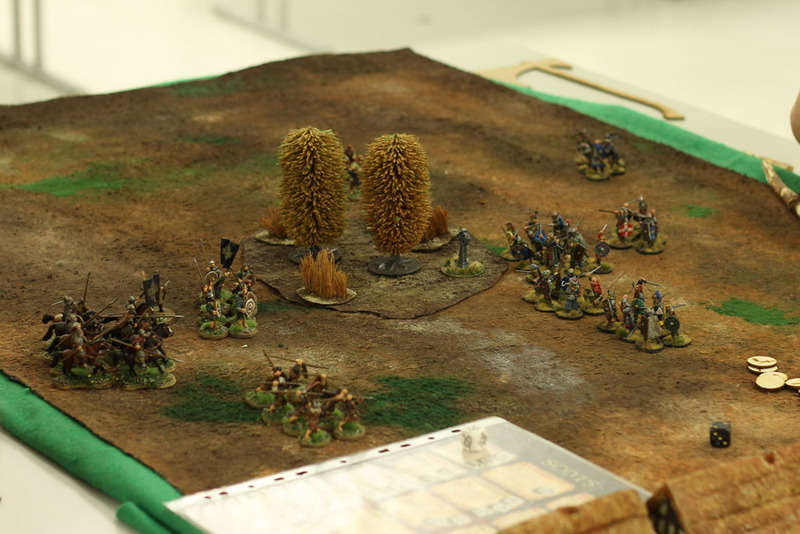 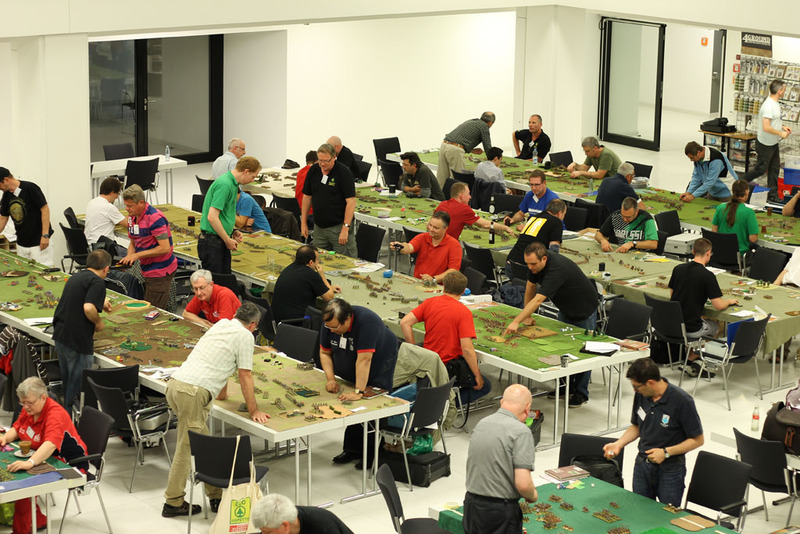 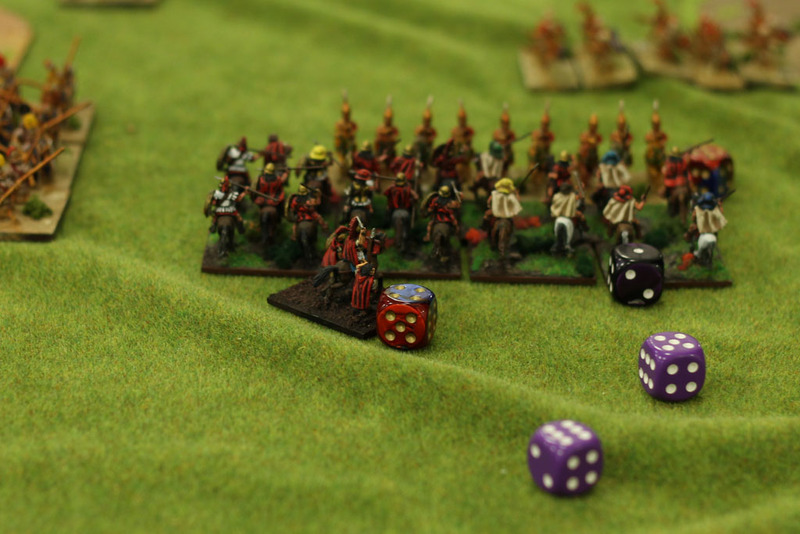 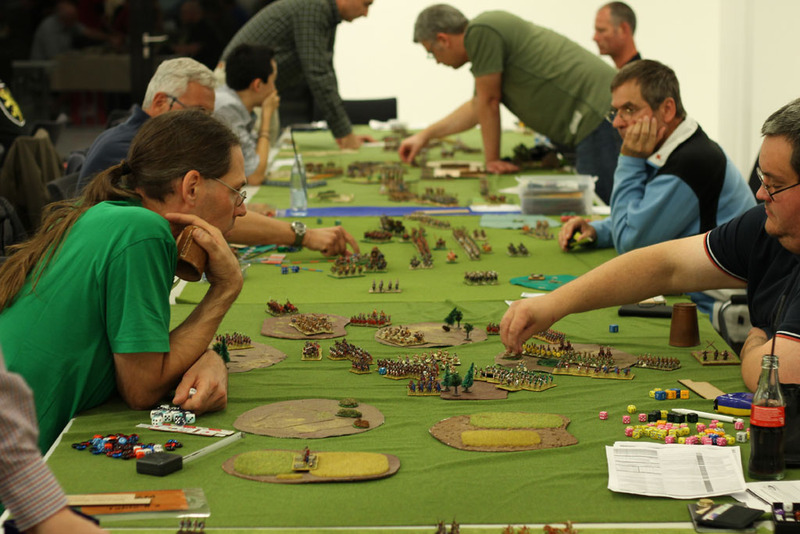 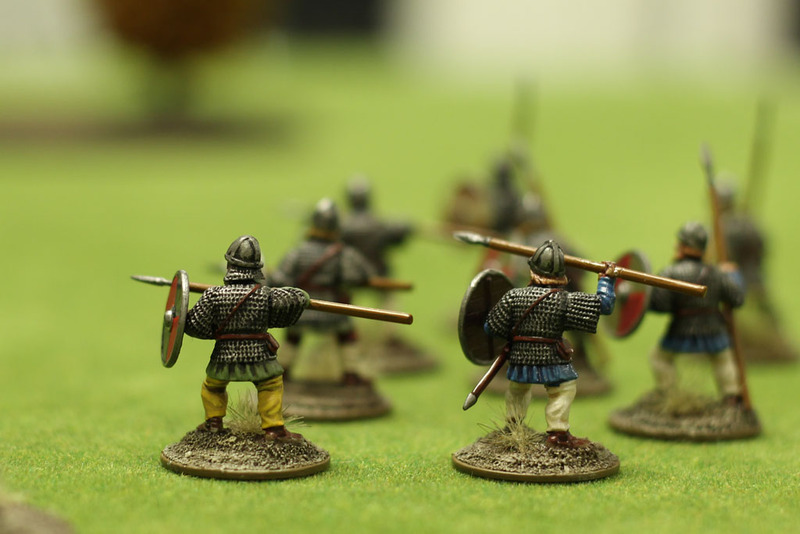 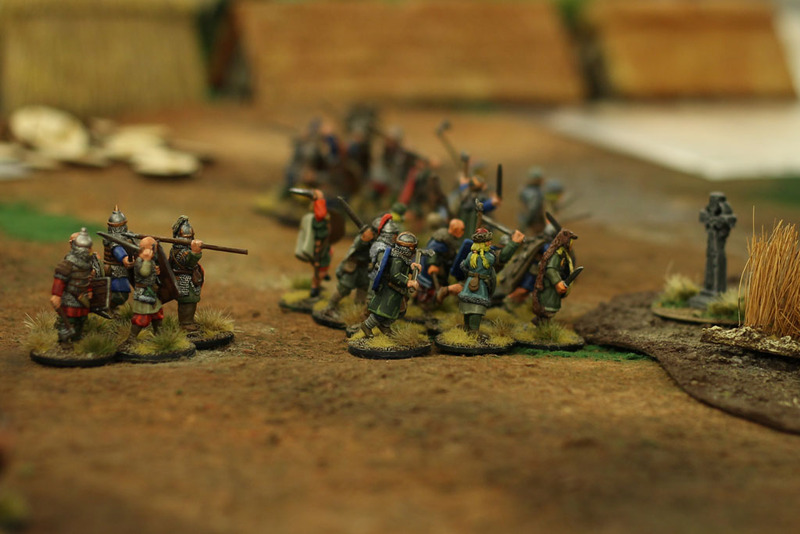 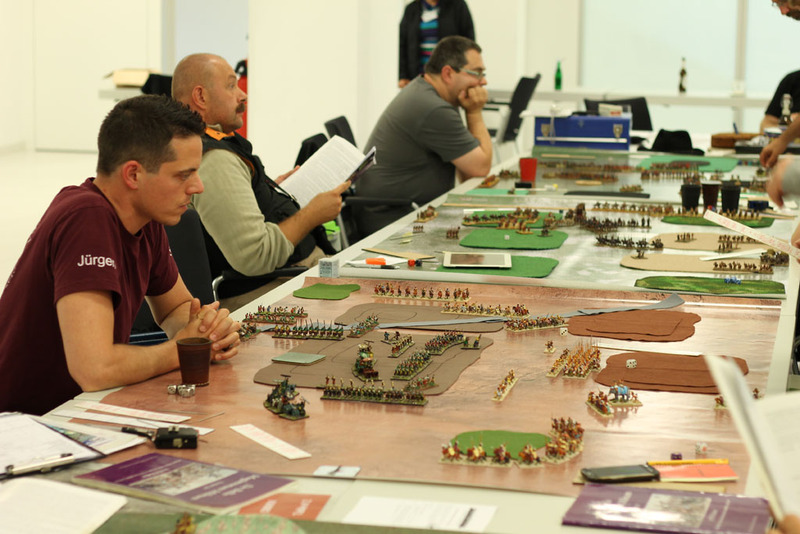 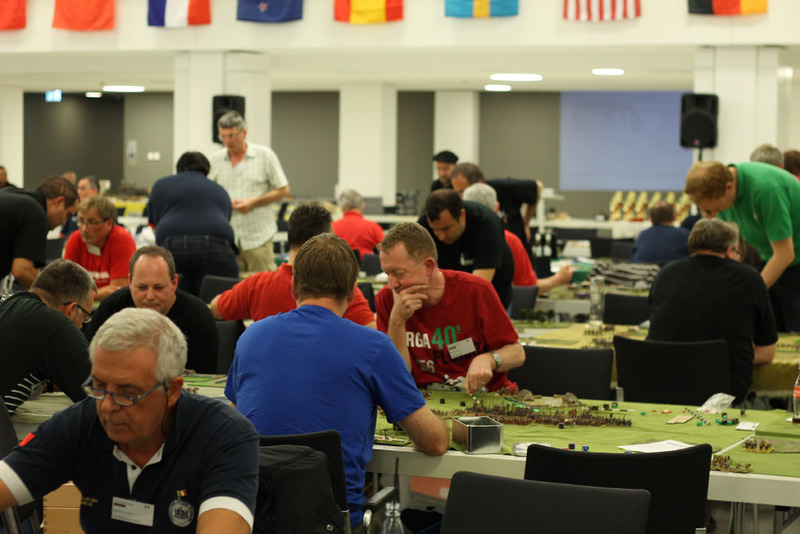 On the weekend from the 15th to 17th August the world championship in historical wargaming were held in Koblenz, Germany, among other systems Field of Glory was played. 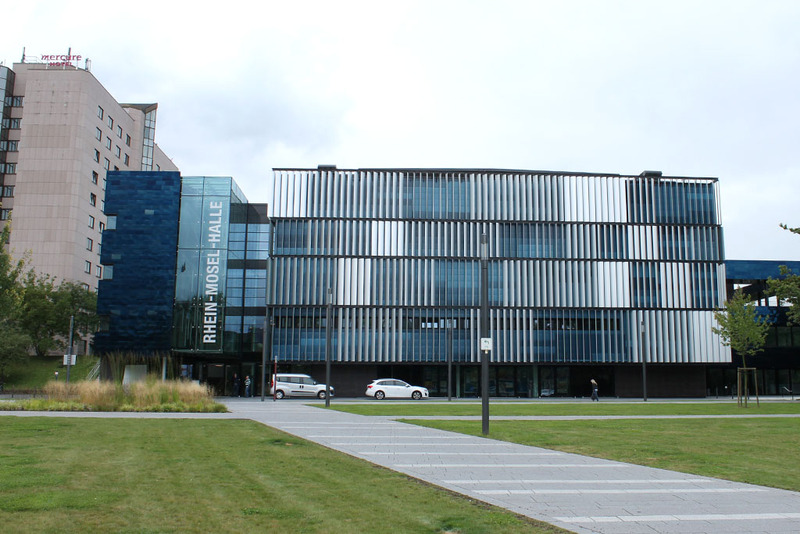 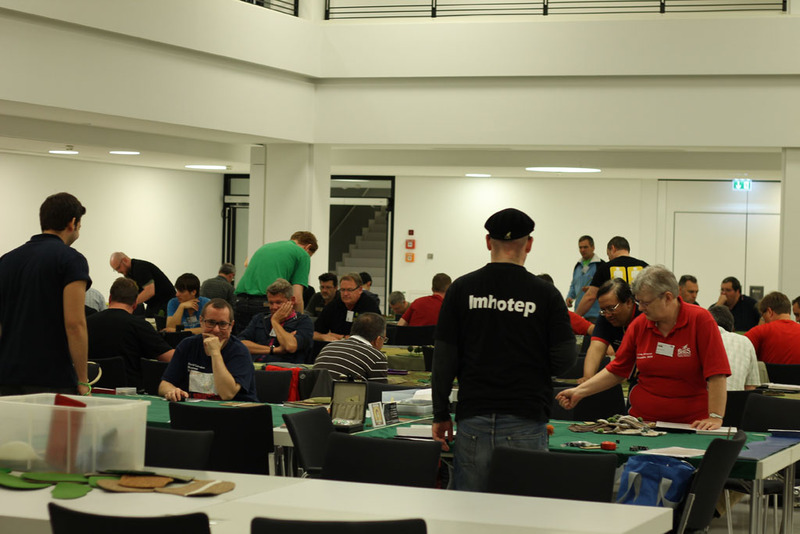 The host of this event was the KoMiCon, and the location was the freshly renovated Rhein-Mosel-Halle. 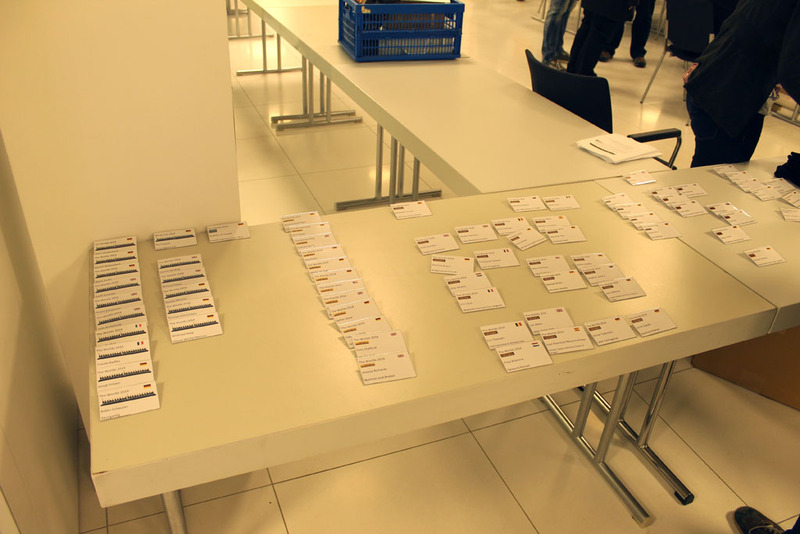 As the parking lot was moved underneath the hall, we can't delivery parking lot pictures as usual to the regular guests. 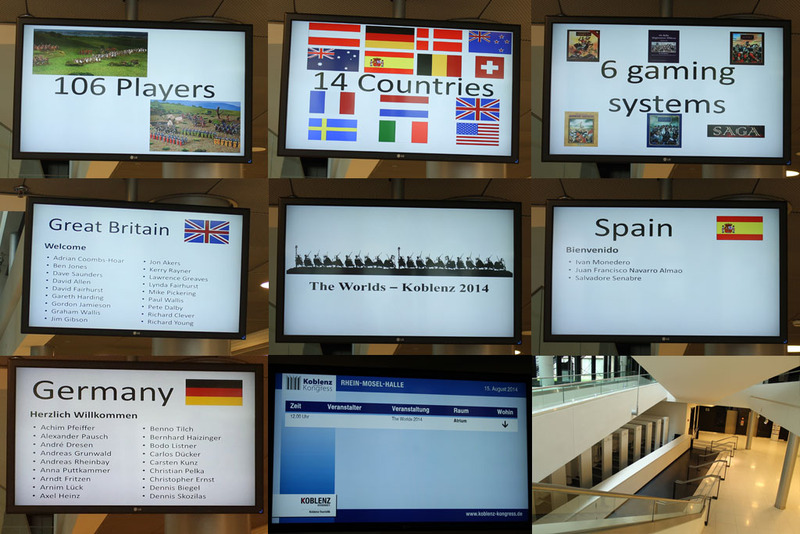 In total there were 106 players from 14 countries playing in 6 different gaming systems. 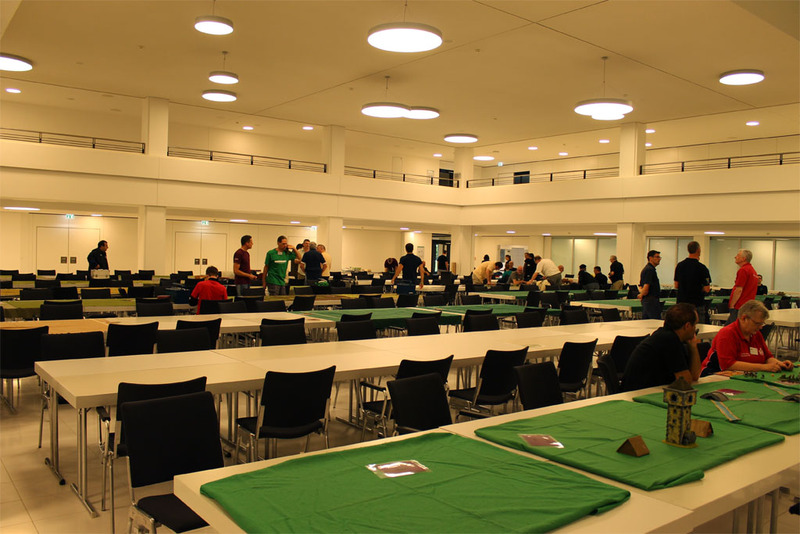 The installment was completed punctual at 11:00 am, last tables were set up, shelfs were filled and the bring & buy as well. 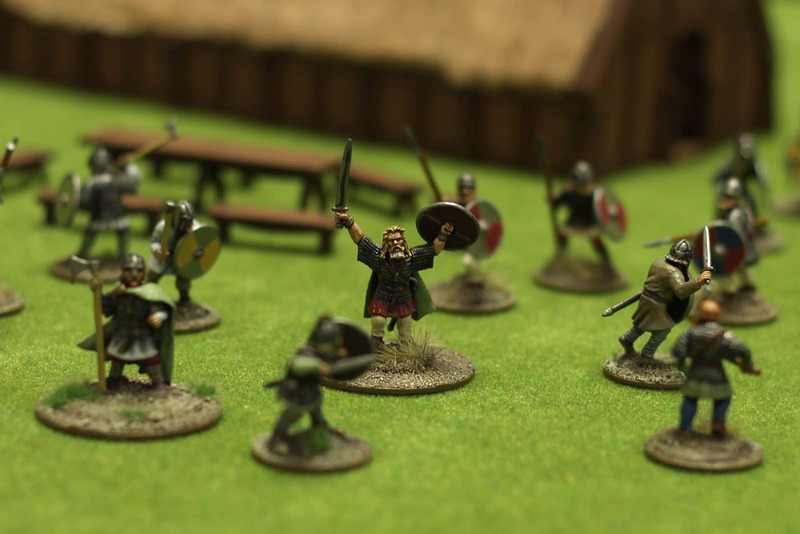 A few impatiently players, in this case the Field of Glory Renaissance, couldn't wait for the official opening and started playing at 9 a.m.! 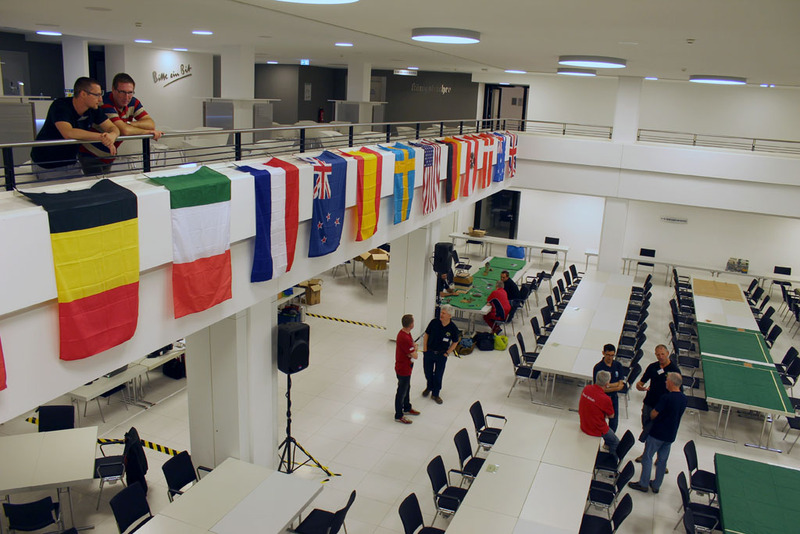 With this small panorama I'd like to share the hall just before the official opening. 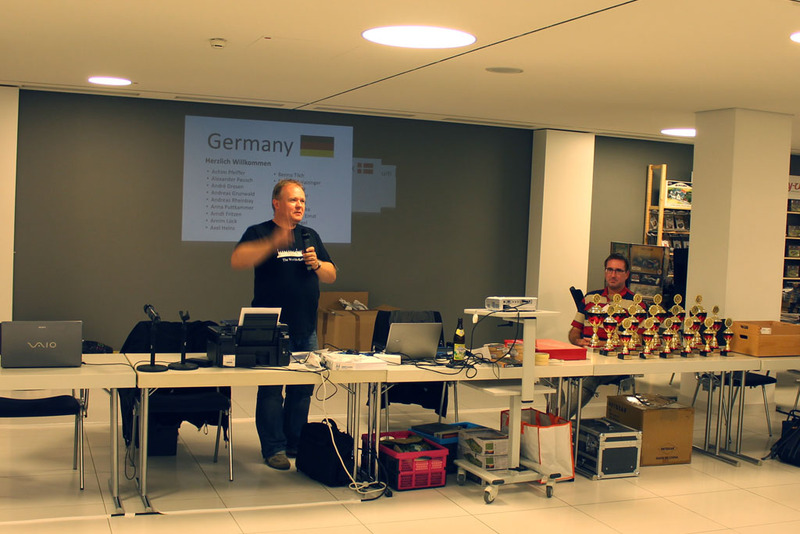 Martin, the person responsible for this great event, orated a short speach and presented the trophies. 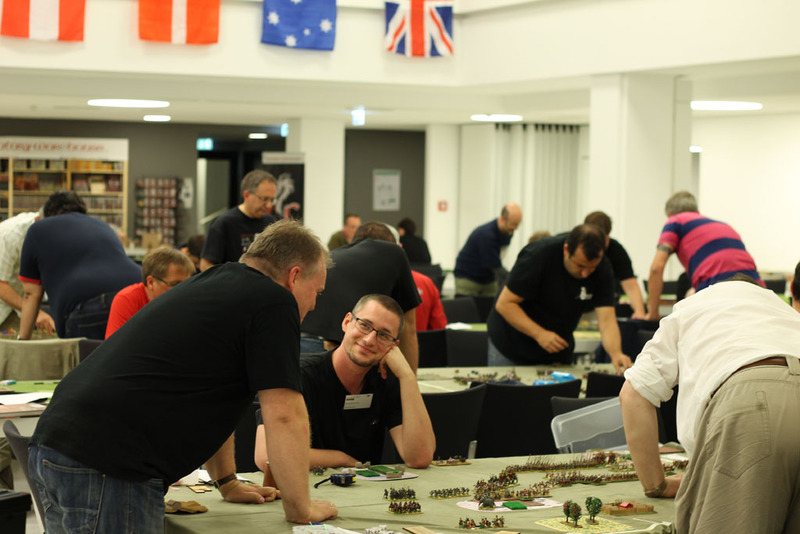 In addition, just completed few hours before the tournament, a small goodie bag from Tactical Terrains. 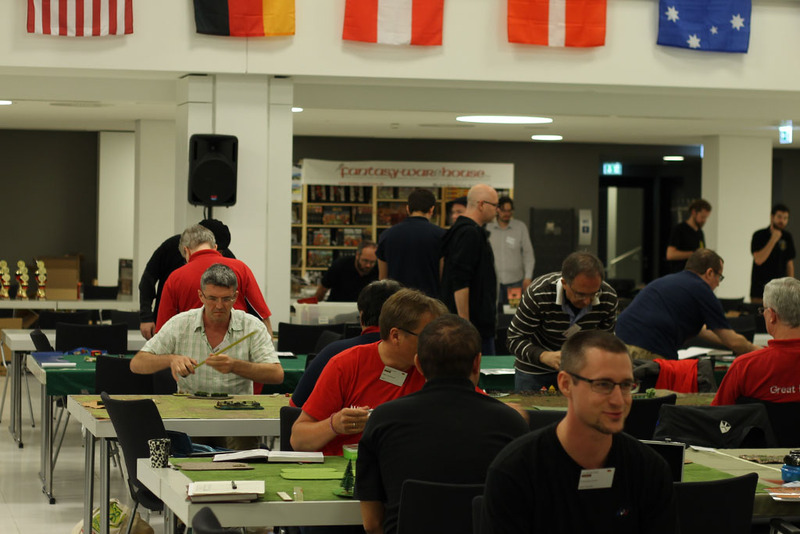 Every player received a ruler for the system they played. 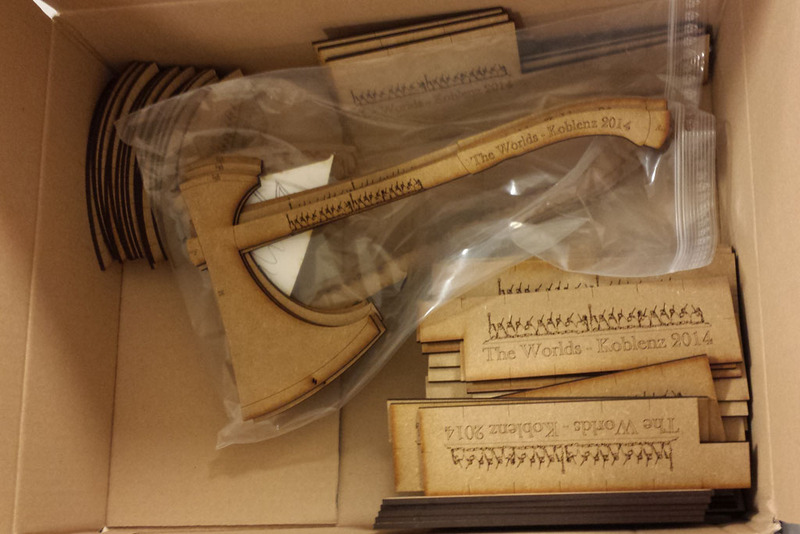 Look at that awesome axe for saga! 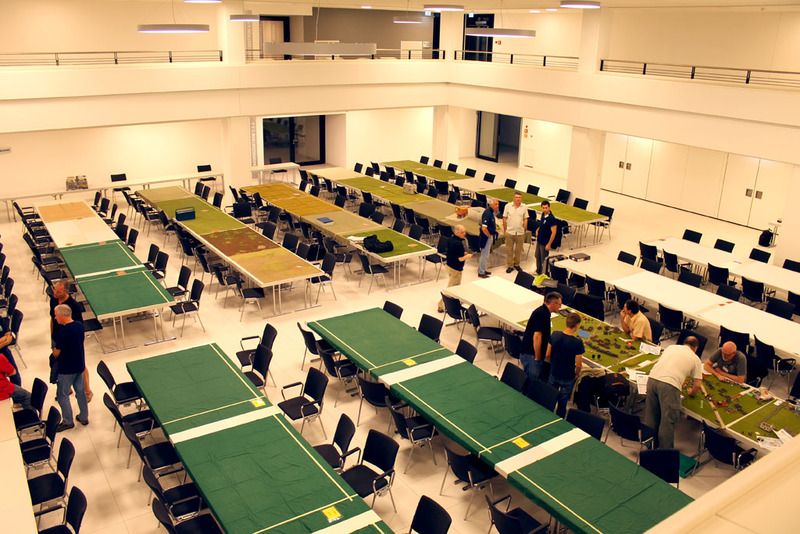 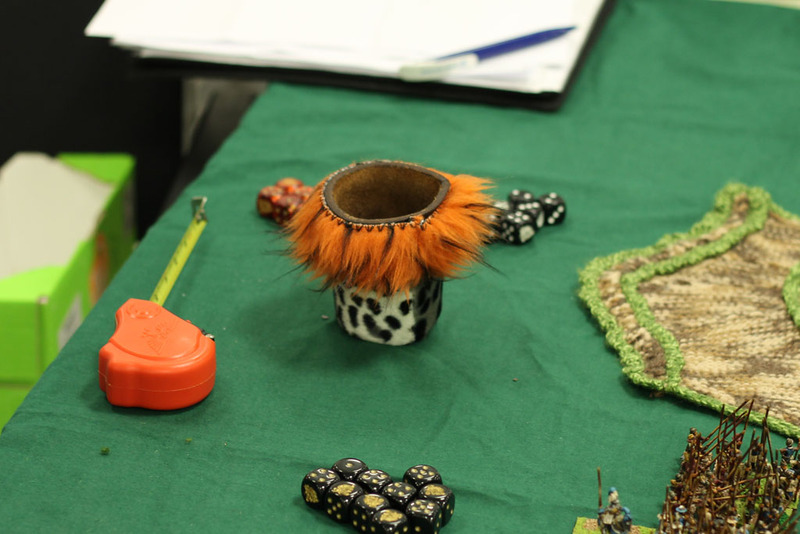 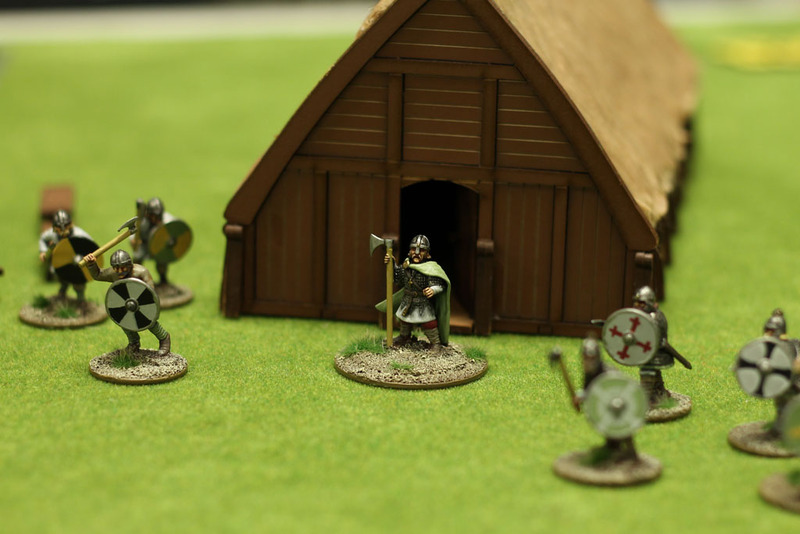 After the pairings were announcend, the players moved to the tables, introduced themselves and set up their miniatures. 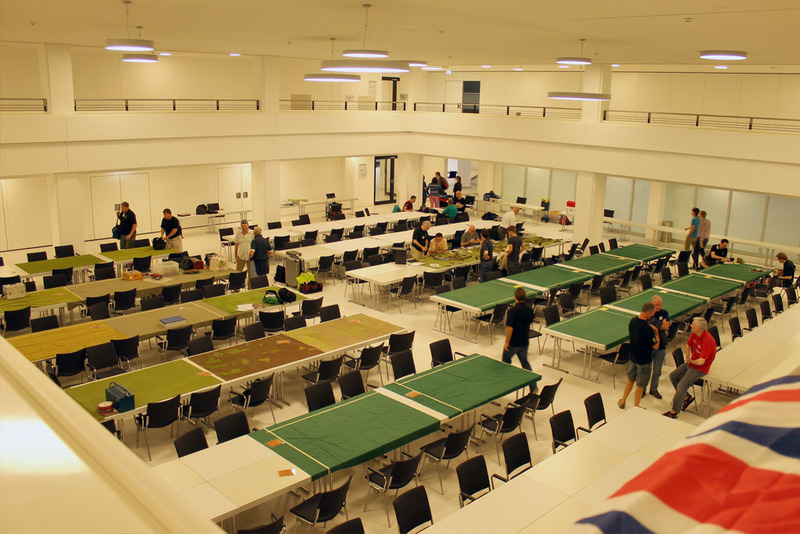 A very pleasant, almost familiar, athmosphere, that you could already feel before the games started. 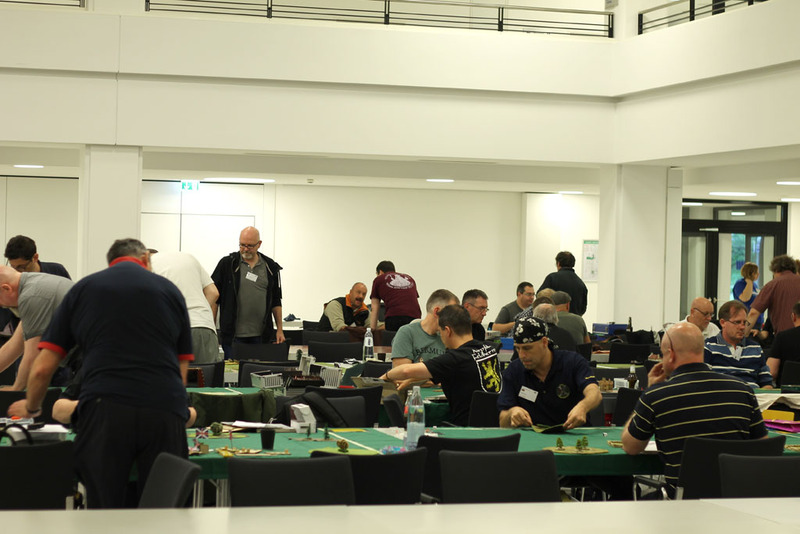 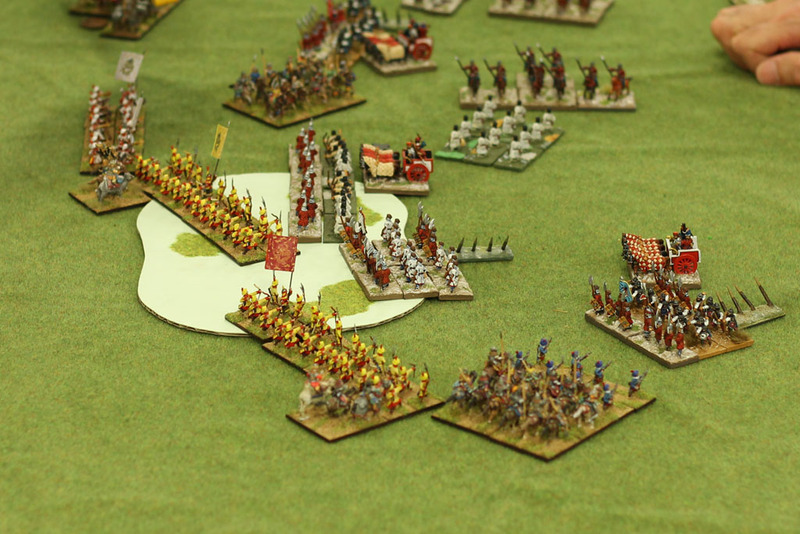 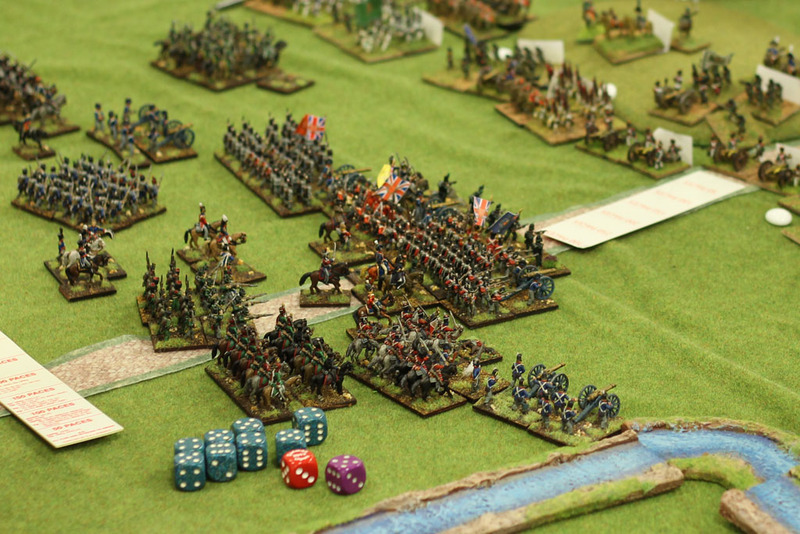 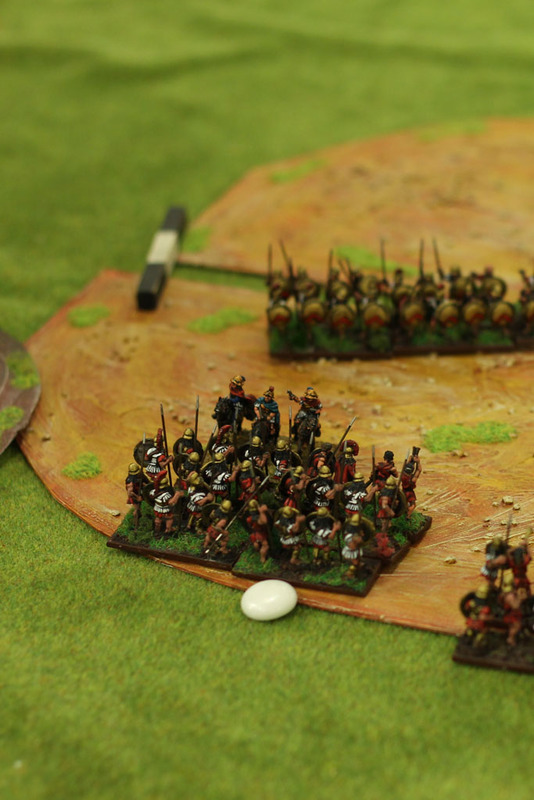 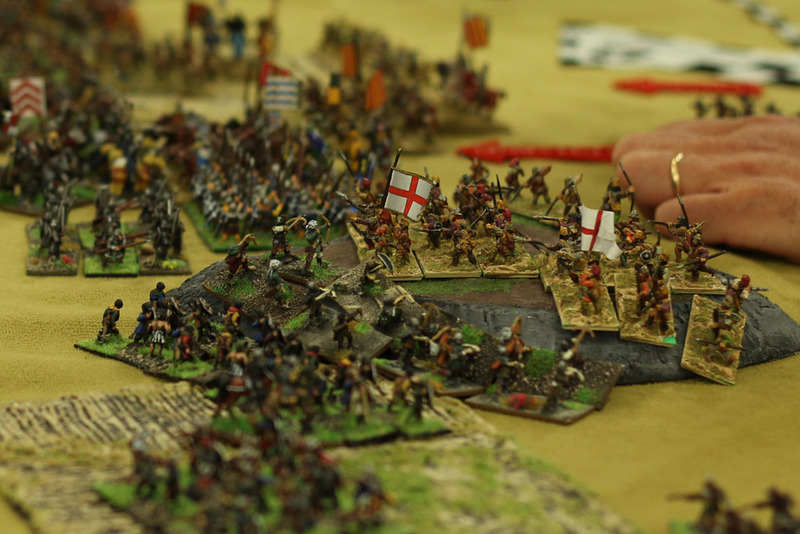 As some of the players already know eachother from the German Open, BritCon or the Dice & Bayonets Con. 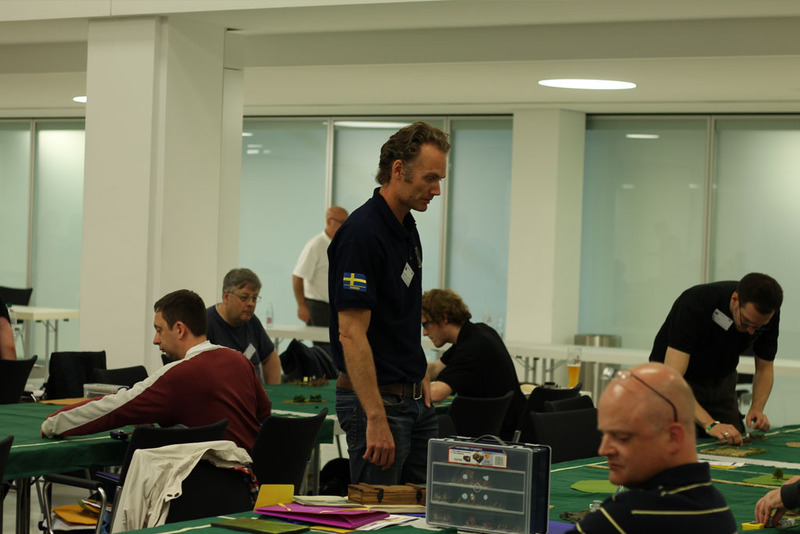 During the official matches, visitors had the chance to try out some games at the traders. 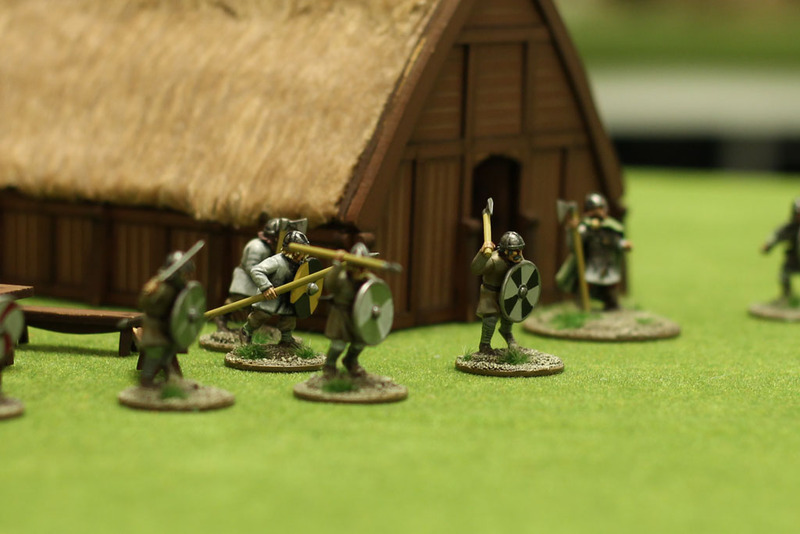 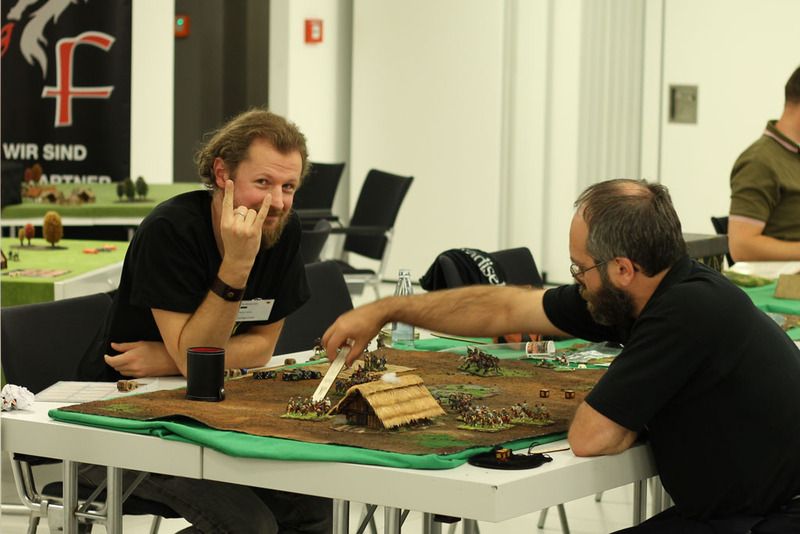 For example Carsten from Fantasy Warehouse gave introduction rounds for Saga, along with the fresh translation of the german rules. 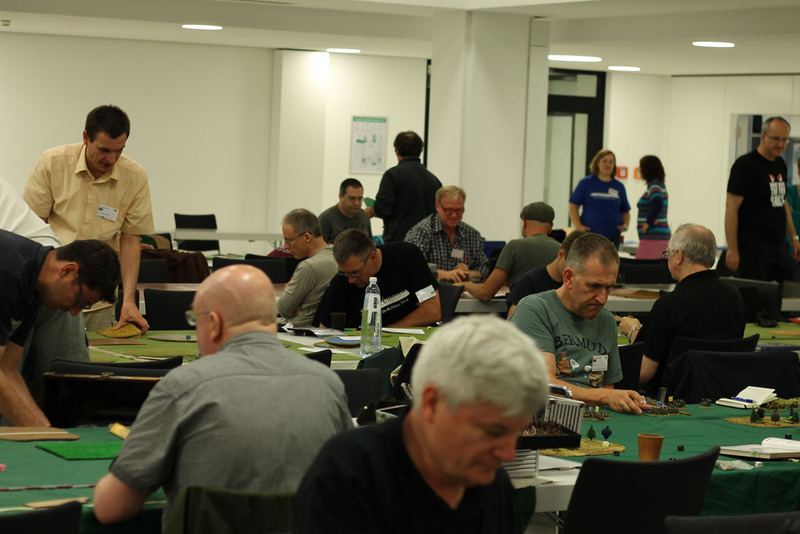 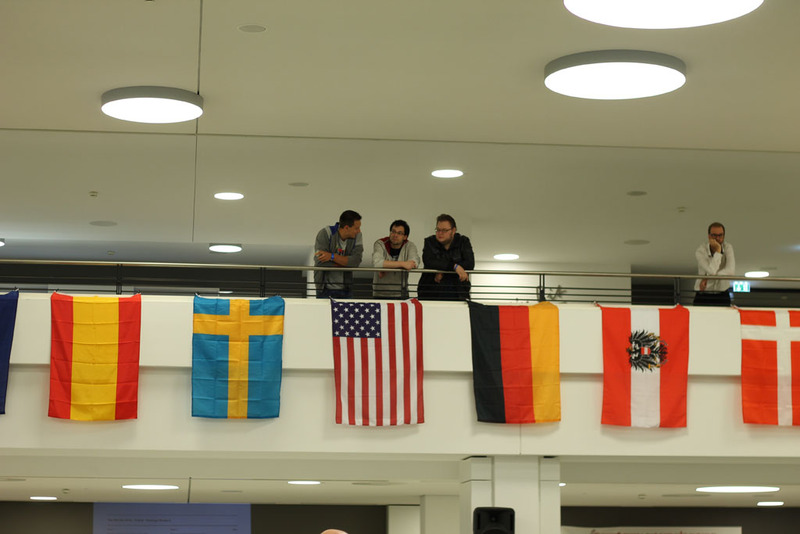 I just want to share with you some impressions and moments from the participants, gaming tables and matches. 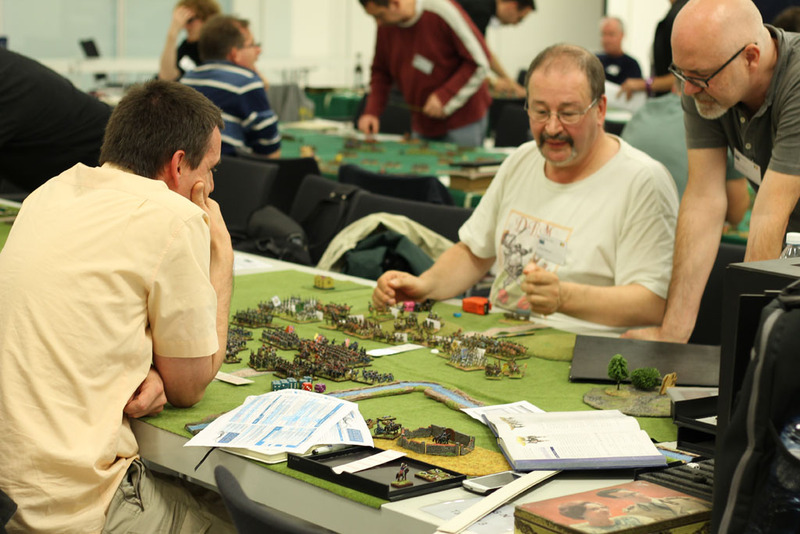 Concentrated faces, colourful dices and interesting dice cup decoration. 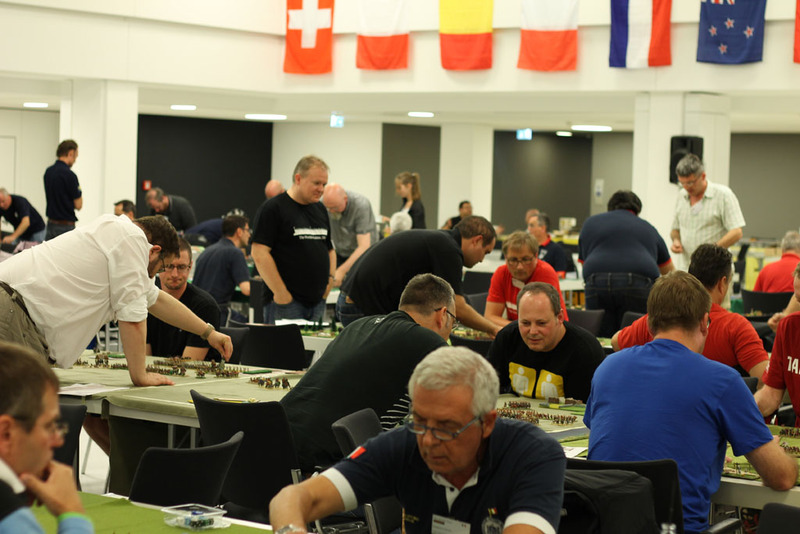 Incredibly low volume in the whole hall, pleasantly frolicsome mood and calm hours for the referees, who had close to nothing to handle. 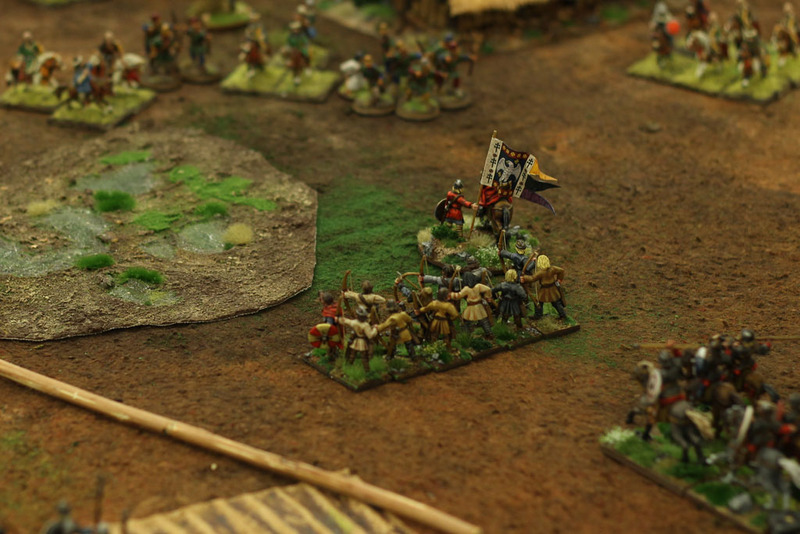 And with these pictures we close the friday. 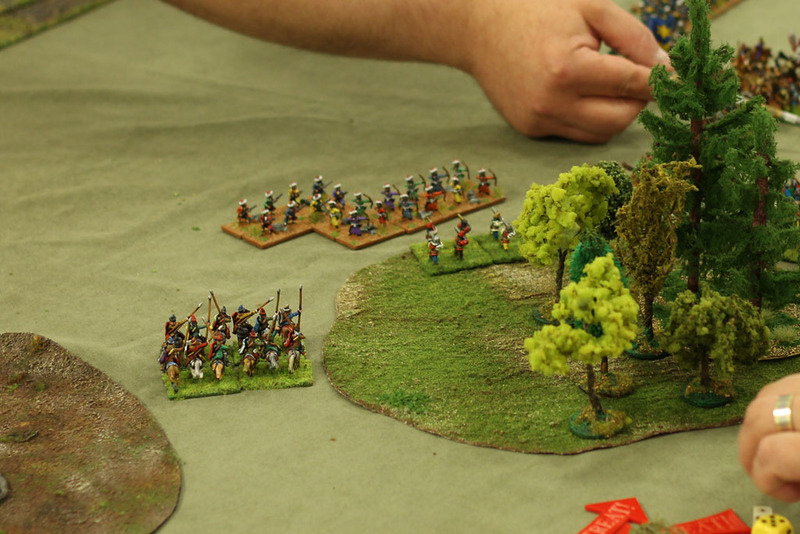 Continued on Saturday.